Raymond and his beautiful wife Ana, have four children: Antonio, Sophia, and Anabella and Alaina. Having grown up in church with his father serving as a bi-vocational music minister, Raymond has been involved in music ministry since he was 5 years old. The experiences that God continues to provide through family, friends, study, and fellowship constantly shape his views on worship. 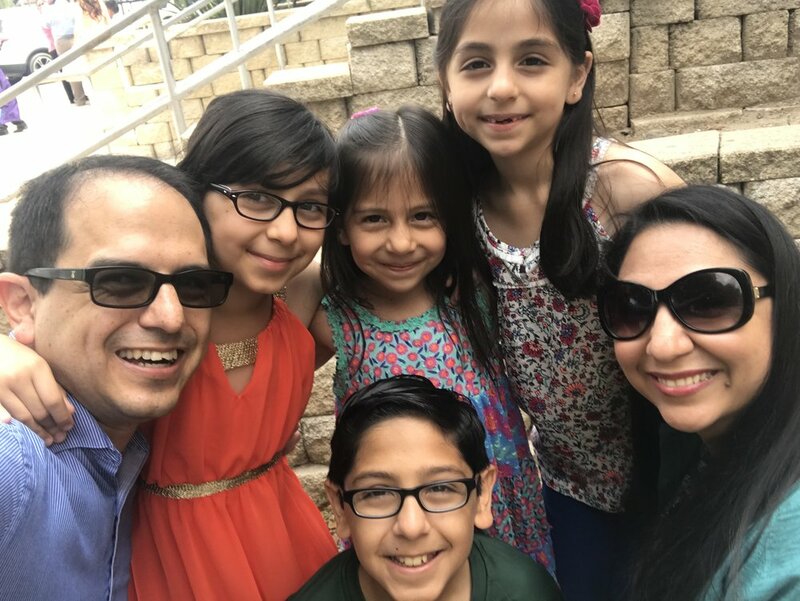 Mr. Sanchez believes that worshiping in community with Jesus followers from all walks of life is vital to the transformation of God’s people into the bride of Christ. Previously, Pastor Ray worked as a band director at Lake Air Middle School (Waco, TX), Tuloso-Midway High School, and Baker Middle School while serving as a bi-vocational Music Minister at Stonegate Community Church in Waco, TX and Segunda Iglesia Bautista in Corpus Christi, TX. Ray and Ana were High School Sweethearts, but originally met in Middle School Band! Even though they didn’t attend the same High School, they reconnected at Segunda Iglesia Bautista a few years later and were married in the very same church. Raymond was the drum major of the Baylor University Golden Wave Band. Pastor Ray loves the Dallas Cowboys, the San Antonio Spurs and Baylor University! Pastor Ray enjoys writing music, playing jazz, volunteering at local band halls and teaching private lessons when his schedule permits. Raymond was an exchange student to Japan in high school, and has traveled to Taiwan, and to both coasts of the United States due in large part to his involvement in different performing groups – but he still hasn’t taken his wife to Paris.